Gluten Free Cheese Crackers - as tasty as a cheese straw, but easier to make! Gluten Free Cheese Crackers — taste like Gluten Free Cheese Straws, but are easier to make — no special equipment needed. I don’t recall the very first time I had a cheese straw. My suspicion — it was somewhere circa 1997 or so… when bridal teas and wedding showers were quickly becoming a “thing” I did on the regular. Where today’s brides have Pinterest and hashtags, the Southern contingent of betrothed beauties had cheese straws. We also had petit fours, finger sandwiches and sherbet punch. But all I really ever wanted were the cheese straws. 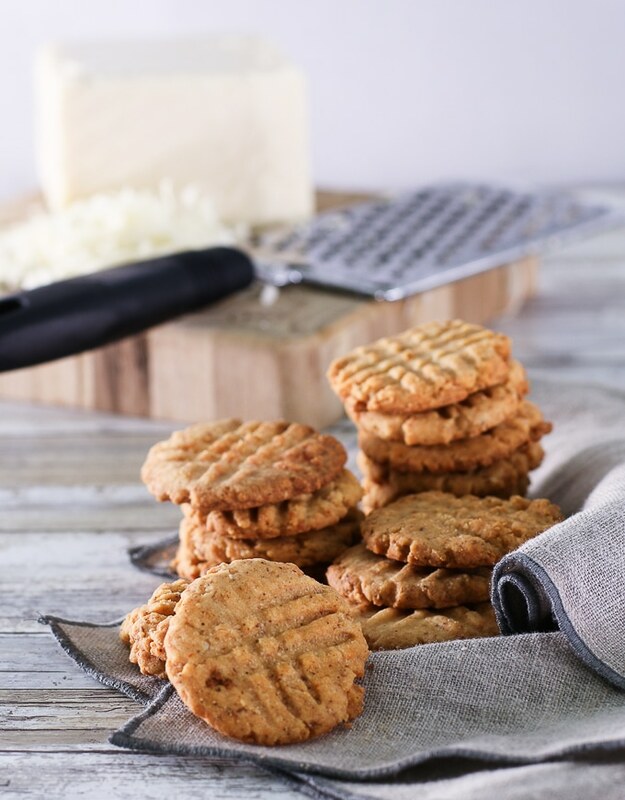 As a young bride, I found myself working to perfect the cheese straw in my own kitchen… getting the dough to just the right temperature, finding the best cheese for the job, working on the perfect amount of spice to give a bit of a “bite” without too much of a kick. I would — during the holidays — embark on this labor of love to create tins and tins of the stuff to share with family and friends… and most especially, to share with my fellow cheese straw lover, my husband. What God hath brought together, let no bad cheese straw put asunder. But over the years as we realized that gluten and my husband aren’t a match made in heaven, I let go of cheese straw making. 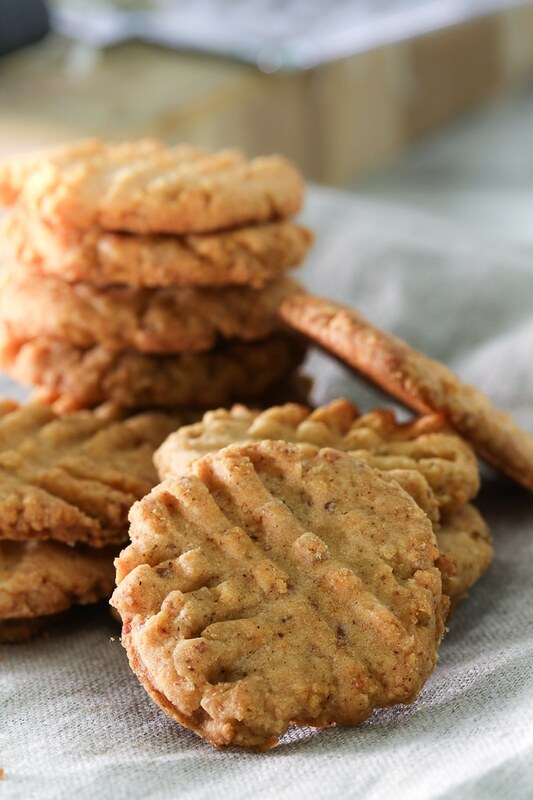 So when this month’s Recipe ReDux rolled around and we challenged members to re-create a favorite crunchy snack, I decided it was time to update this beloved Southern staple and make them gluten free. Who knows if that’s just the absence talking of not having had a cheese straw in so many years… or the wisdom that comes with nearly 20 years of marriage. Telling your wife something like that ensures you will definitely get another batch and another and another. Shred your cheese; allow to come to room temperature (This is important. Really cold cheese/dough is HARD to press out even in a good cookie press). Cream cheese with butter (I use my heavy-duty stand mixer for all of this). For Cheese Crackers: Form dough into tablespoon size balls, press out onto cookie sheet, press flat with palm of hand and use a fork to make a criss-cross pattern on the top of the cracker. Bake at 325 for 10-15 or until just barely lightly browned on the bottom (12 minutes seems to be the magic number for me). For the crispiest straws/crackers, turn oven off and allow to cool slightly; put all the straws or crackers back in a warm oven to “dry out” (much like curing shortbread. I typically do this overnight.) The flavor won’t change, but they’ll taste crisper to start with and stay crisp much longer. Oooo, these sound really good! I’ve never tried making my own crackers, let alone cheese crackers, but these look delicious! I love that you put in sriracha! 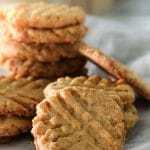 Can you substitute almond flour for the Pamela’s baking mix? I don’t think it will yield the same results as the almond flour is a bit grainier and has more fat. If you do try it and it works please let me know!